You can’t start a Florida Trail podcast without involving the Florida Trail founder, Jim Kern. 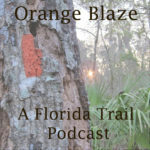 I was grateful to have Jim agree to come on the podcast as my first guest to talk about founding the Florida Trail and what hiking was like in the state back in the 1960s. We covered other topics such as what he believes it will take to fully protect the Florida Trail as well as other National Scenic Trails that aren’t fully protected—read: that’s all of them other than the Appalachian and Arizona NSTs. Be sure to check out the links to the other organizations Jim has founded and to review some of the videos and YouTube channels in the show notes for more information about Jim and what he’s doing to work to protect the Florida Trail.